Northern Society of Chartered Accountants and ICAEW were delighted to again be category sponsors of Independent Firm of the Year at the North East Accountancy Awards. 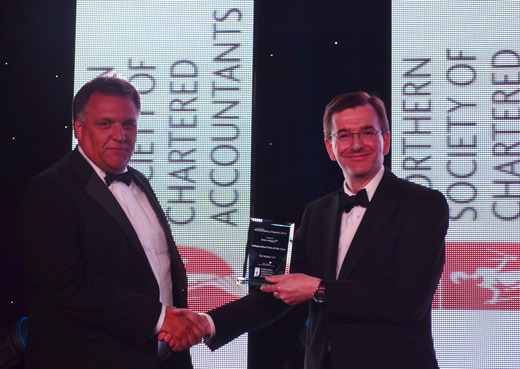 Andrew Jackson, President of Northern Society of Chartered Accountants, presented the Independent Firm of the Year 2014 award to Andrew Moorby, managing partner of Tait Walker. Now in their 8th year over 400 people attended the awards dinner at the Hilton NewcastleGateshead to celebrate the success of the accounting and finance profession across North East England. The awards were hosted by BBC Breakfast News presenter Colin Briggs. TV personality, explorer and marine biologist Monty Halls delivered the after dinner keynote speech. ICAEW and Northern Society of Chartered Accountants support these awards as we believe that to encourage organisations to strive for rigour and excellence, we must recognise and reward those who currently provide the highest quality of service, adding significant competitive advantage. We congratulate all of the individuals and organisations that were shortlisted for the awards this year. 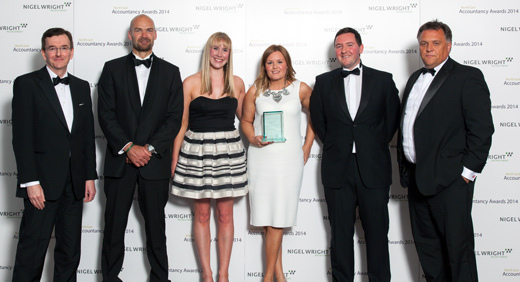 Tait Walker were the winners of Independent Firm of the Year and Harlands Accountants were announced as the runners-up. The judges’ view was that both the winners and runners-up “were both outward looking and had talked about their clients and their services during the panel interviews”.